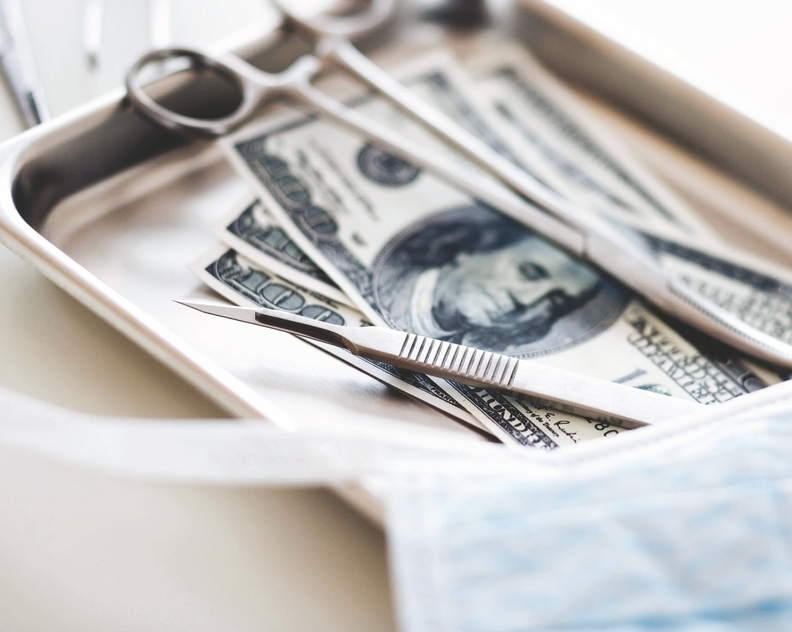 Proposals to level outpatient site payments, further cut the 340B drug discount program and bolster payment for services in ambulatory surgical centers would hurt hospital margins, a new report found. The CMS has proposed several changes including site-neutral clinic visits, the expansion of 340B cuts to off-campus departments of hospitals, and adding 12 cardiac catheter procedures as covered services at ambulatory surgical centers. While on their own these proposed changes would not significantly impact the hospital sector's overall credit quality, it would add to the list of ongoing revenue and margin pressures, according to a report released Friday by Moody's Investors Service. The proposal to move certain cardiac procedures to ASCs, if finalized and adopted by clinicians, would likely have the broadest and most significant impact on the hospital sector, the report found. Additionally, the effects would be magnified if commercial payers followed suit. "There are many hospitals that are going to be impacted by these changes, and the impact is going to be widespread and significant," said Fred Bentley, a vice president at Avalere Health. The CMS wants to stop paying more for a clinic visit in an off-campus department of a hospital than in a physician's office. That would translate to a rate cut from $116 per hospital-owned off-campus clinic visit to about $46 as well as a drop in co-pays from $23 to $9. It would save the CMS about $610 million in annual hospital payments and Medicare patients an estimated $150 million in co-payments. Hospitals argue that higher reimbursement rates pay for around-the-clock service and specialized equipment. The revenue cut will mean they will have to roll back services, which would reduce access, they argue. While that could be true, those programs were not designed to address access issues or broader community-related problems, Bentley said. "Policymakers need to create funding streams that address those issues instead of idiosyncrasies in the payment system that subsidize them," he said. One of the primary goals of adding physician clinics is to expand a health system's referral base. But critics of the pay disparities contend that health systems acquired more physicians, in part, to take advantage of the higher payment rates, which were still doled out even if the hospital-owned clinic didn't look or operate any differently than a community-based doctor's office. This ultimately would make physicians marginally less attractive acquisition targets, but the proposed rule omits some incentives given that it doesn't impact on-campus outpatient facilities, for one, industry observers said. Buying up physician practices can also help hospitals secure higher prices from private insurers, said Matt Fiedler, a fellow at the USC-Brookings Schaeffer Initiative on Health Policy. The CMS also proposed to expand its cuts to the 340B program to include off-campus hospital-based departments that are paid under the physician fee schedule. The agency lowered reimbursement for Part B drugs to the average selling price of the drug, minus 22.5% from ASP plus 6%, which the CMS estimated would save Medicare about $1.6 billion every year. The agency would reallocate these savings nationally across all hospitals for outpatient care. The CMS also proposed adding a dozen high-margin cardiac catheter procedures to its ambulatory surgery center coverage, although safety concerns may stymie the proposal, according to Moody's. Even if the hospital owned an ASC, these procedures would be paid at a lower rate than if done in the hospital. But earlier this month, the CMS came out with a favorable 3% to 4% increase in total industry inpatient payments, which could offset some of the potential outpatient reimbursement cuts, Moody's analysts said. Inpatient rates only increased by 2% in fiscal 2018 and 1% in 2017. Hospitals should adjust their acquisition strategies to focus on actual efficiencies rather than taking advantage of payment differentials, Fiedler said. They will also need to adjust to the lost revenue by reducing overhead and finding ways to actually deliver services at lower cost, he said. "The big question, obviously, is whether those savings can be achieved without compromising the quality of care," Fiedler said. "In general, my view is that hospitals can accommodate revenue reductions of this size without undue effects on quality." These payment changes are likely to strengthen competition, which may increase market pressure to improve quality, he added. Many providers have already executed some belt-tightening amid growing financial pressures, particularly by cutting administrative staff, Bentley said. "I would not be surprised at all if we see hospitals scaling back peripheral programs that improve access or address social determinants of health, and those that aren't core to providing direct clinical care," he said. In addition to the proposed outpatient rule, higher copay and deductible health plans will constrain overall volume trends. The push to value and progress in medical-device connectivity, improved pharmaceuticals and better at-home monitoring capabilities will dent inpatient volumes, Moody's analysts said. Outpatient revenue represents over 50% of not-for-profit hospital revenue, according to Moody's. While the 2017 growth rate for outpatient visits slowed in part because of greater competition from nontraditional retailers and other for-profit urgent-care centers, it still remains higher than inpatient admissions.